He has left viewers and listeners across in stitches, with his films and his latest high riding song 'Ngamnanka' which became one of the most sought songs during the festive season, and its presence was felt in most gatherings, pubs and bars. He has left viewers and listeners across in stitches, with his films and his latest high riding song ‘Ngamnanka’ which became one of the most sought songs during the festive season, and its presence was felt in most gatherings, pubs and bars. 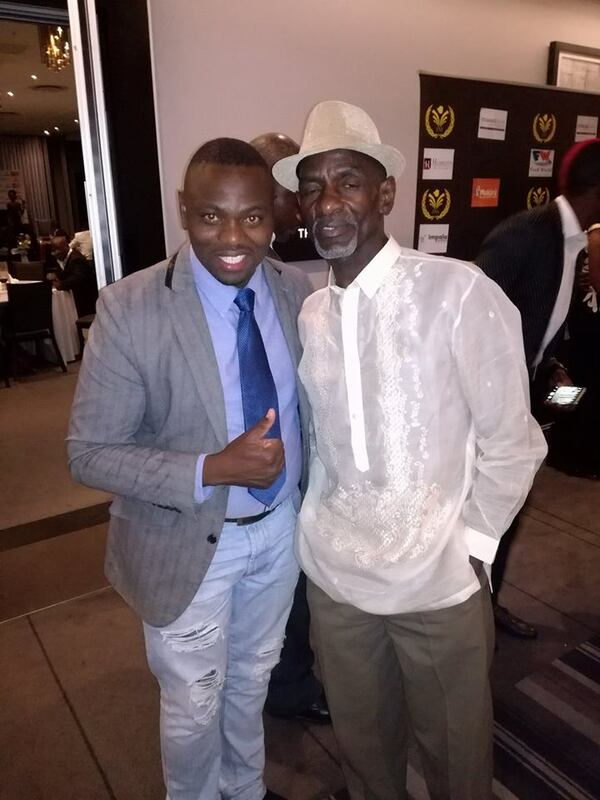 Mothusi Bashimane Ndlovu is the man behind the Madlela Skhobokhobo brand. Let’s learn 10 things about the dazzling character who has become a darling to most comedy and music lovers. 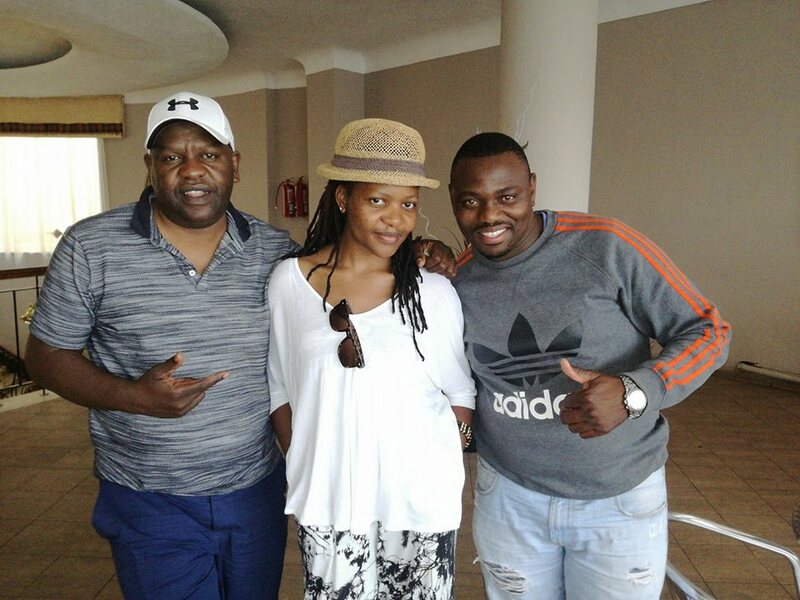 Veteran broadcaster Ezra Sibanda, musician Nkwali and Madlela In Bulawayo recently. 1.He grew up in Matulungundu Village in Gwanda South and went to Manama High School in Gwanda. 2.He is very shy and reserved. 3.A father of 2 a boy and a girl. 4.Sikhobokhobo is the lastborn in a family of 5. 5.He loves God with all his heart. 6.He does not drink but takes wine occasionally. 9.He is an actor/ musician/director and writes music for other artists as well can compose any genre. 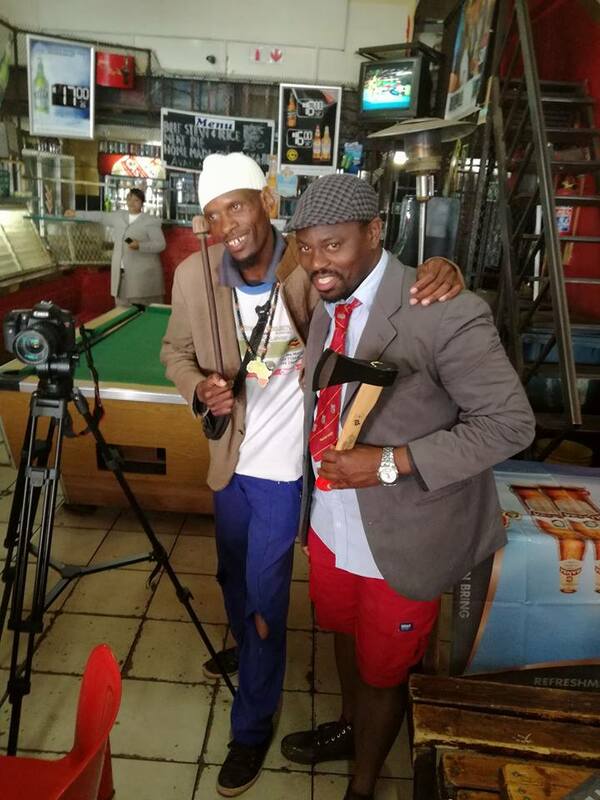 Madlela with one of Omkhula Characters on set. 10.He believes a dream never dies,we are all called for a special something some will be quick to realise thatsome it takes time the trick is to never give up.